The easiest way to backup your databases without using a web interface like phpmyadmin, is to use the mysql-client built-in utility mysqldump. It provide the ability to perform backup of a single database, as well as full dump of your MySQL server. Here some tips to perform your backup faster and to ensure data integrity of your backup. By default, mysqldump will lock the table of your database during the dump process to make sure there will not have new data added during this time-frame. But it may impact your applications during the dump, because it will not be possible to read/write/update data inside the locked table. 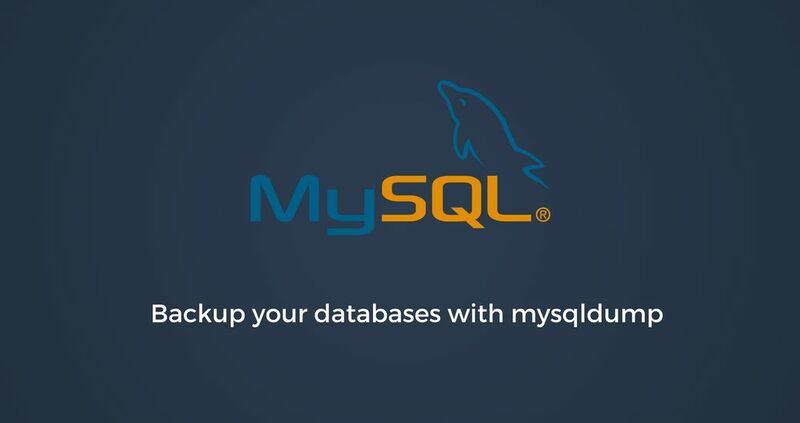 Nowadays,MySQL servers are running with the storage engine InnoDB by default, and it provide the ability to perform backup with mysqldump without locking tables. To dump your databases without locking tables, you can use the flag --single-transaction with mysqldump. It will automatically turn off the option --lock-tables and perform a snapshot by dumping all tables in a single transaction.